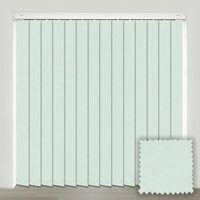 With a choice of light and dark greens and lots of shades in-between, our stylish made to measure green vertical blinds are the perfect way to inject some wonderful colouring into your room’s décor and create a truly relaxing atmosphere. From plains to patterns, smooth to textured, there is a fabric for all tastes and styles and each one is guaranteed to transform the look of any window in the most stylish and functional way. 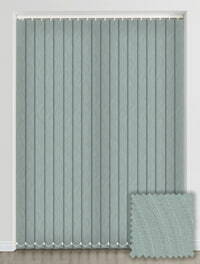 Choose from hues of lime green, olive, herb, pesto, mint, emerald, sage and teal and brighten up your kitchen, lounge, dining room or conservatory in a wonderfully natural way. 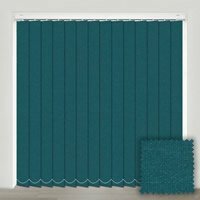 Not just fabulous to look at, our luxurious green fabric vertical blinds will provide you with complete control over both the privacy and the amount of light you require in the room. The blind I ordered for the kitchen were absolutely perfect. I am so pleased at the purchase and what a difference it has made to the kitchen, it has brought it to life. Amazing product quality. Amazing service. Super easy to fit with clear instructions. The quality of the blind is really good.